Need to measure noise? – It’s Never Been So Easy! 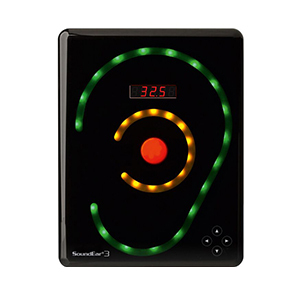 SoundEar PRO is a noise measuring system consisting of up to 10 independent sound level meters that send wireless data to a computer, thereby enabling you to measure and monitor 10 different places within the company at one time. A complete record of this data is stored for up to 3 months, so it is possible to go back and look up the noise level in a particular place at a particular time. Furthermore, each individual measuring device has a wireless connection to a display that shows a warning as soon as the noise level is too high. It’s never been so easy! SoundEar PRO is the easiest way to record and monitor the noise level in your company. User friendliness has been given top priority, the system is simple and easy to use. SoundEar PRO is the most flexible noise measurement system on the market and can be used for monitoring noise levels as well as for carrying out precision measurements. SoundEar PRO is aimed towards safety representatives or in-house OHS, as well as external preventive services and occupational consultants. SoundEar PRO meets the required occupational health and safety standards, IEC 61672.